I always review hair care products for you ladies, but most them are not so great for men. I always look to do reviews for the fellas too, but I don't want just anything, I want the best. I get some new hair care products for my husband, and he loves them(and so do I), so I am so excited to be reviewing a great men's product today. 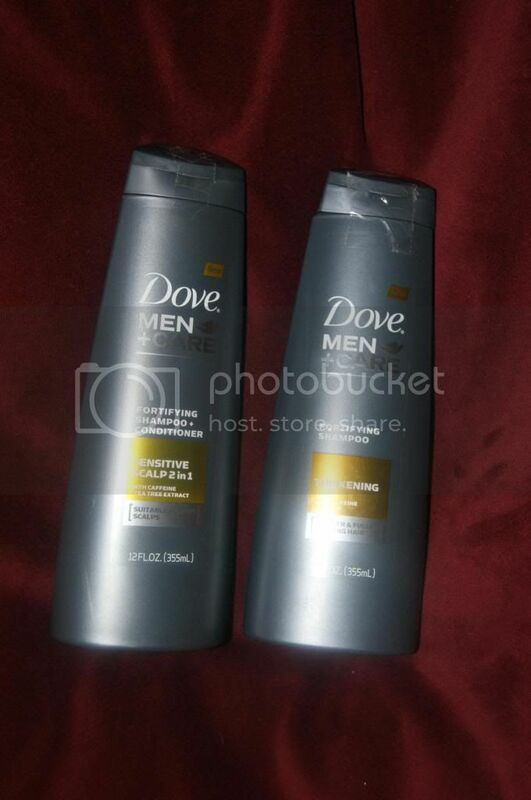 Dove Men + Care is a whole line of personal care product specifically for men. I got 2 products for my husband to try so far, and they are both wonderful. Any shampoo that can really clean my husband's hair is automatically a winner to me. He has a dirty job and his her gets filthy. This washed away all the awful junk and left his hair and scalp completely clean. I could tell just in the look of his hair that is had done a thorough yet gentle(non stripping) cleansing. I love that. This really is thickening too. I was so jealous of all the volume hubby's hair had. Mine is always flat. It just looks so much healthier( and better) when it is thick and bouncy. And of course my favorite part of all is the scent. I love the smell of men's products when they are done right. These absolutely are, the scent is addictive. Hubby practically had to drag me around with him everywhere because I could not stay away, I had to be inhaling his hair. He didn't mind though. For After experiencing the shampoo, I knew this product would be fabulous as well, but it was still even better than I expected. 2 in 1 products tend to not really be as moisturizing as they should be, and many leave residue and leave hair feeling(and looking) heavy and lifeless. That is so not the case with this wonderful product. Not only did this not leave any residue, but it also did a magnificent job of cleansing. His hair was fresh and amazingly soft. This helped to make his hair look even healthier since it tackled the drying effects of the sun and the harsh environment that hubby's hair battles daily. I love that their is a manly way for him to condition his hair like he needs to. He is the kind who would never use a separate conditioner. And of course, the manly scent is so intoxicating. My husband is the kind of guy who never really worried about what he used on his hair He would even use Body wash and even soap to clean his hair. He thought since it was short, that he did not need to take care of it. He would always use whatever I had(or bought to make him use), and say, "Shampoo is shampoo, what's the difference?" And while is is not picky since he will use anything, he is difficult to actually impress. That probably sounds confusing, o I will try to explain better. He does not care what he uses, and he never really hates any of it, but he also never loves anything, to him, usually, it's just there. So when he actually said, "This stuff is awesome" I was floored. I know it was great, but for him to not only think so, but to also admit it(after saying they are all the same) is a huge deal. And what I love even more about these products is that my son can use them too, and he actually wants to use them. My son (5 1/2) has very long hair(so log that people always mistake him for a girl), and has outgrown baby shampoo, which I was using on him up until recently. I have just been using my shampoo on him, but I hated that it smelled so girly. Thankfully, he loves using daddy's stuff, and as soon as he saw these, she wanted some too. That was great for me. Not only do these products cleanse and moisturizes just as well as mine do, the scent is so much more appropriate for him. I am so glad I found these products for both of the men in my life. 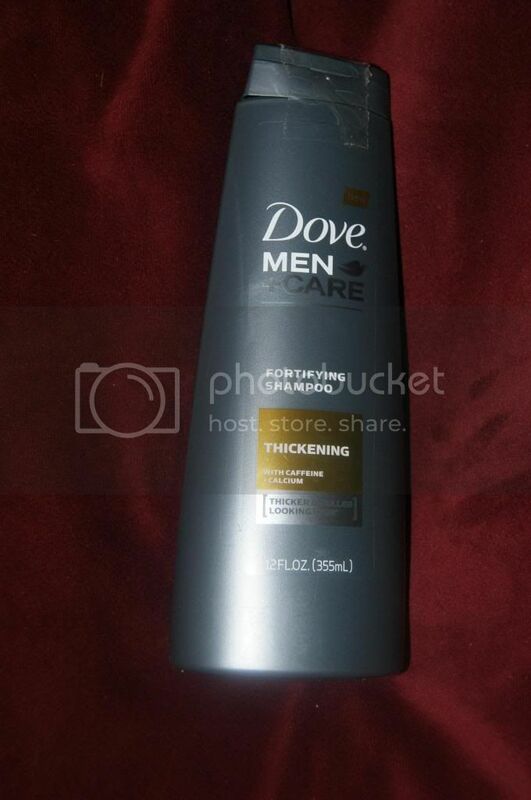 I know we will be getting many more Dove Men + Care products. If you have a wonderful man in your life, I suggest treating him(and you) to these awesome products. So glad to know that my guy can stop using mine! im always up to finding new products for my guys!! I will have to check this one out for sure! I really want my hubs to use real shampoo but he is still stuck on the axe all in one because it is just so simple. thanks for sharing. maybe i can convince him to use this! We love Dove for Men in our house, all the Teenage boys and hubby use it faithfully. I love your review! This is by far my son's fave items to have. Yes, a 10 year old loves Dove for Men products. Great review! 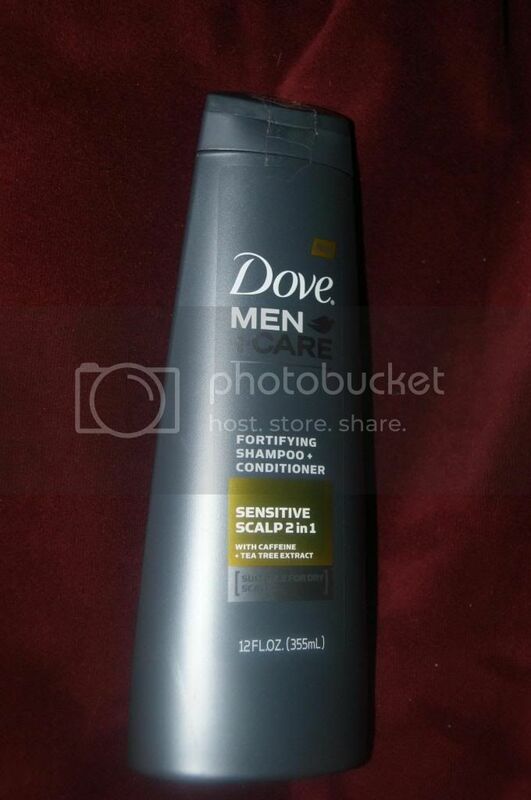 I love that Dove makes women's and men's hair care products! Review looks good! I was confused on which Hair Care Products For Men will be best. Thanks. Wild Penguin Treats Review and GIVEAWAY! Brownie Brittle Review and GIVEAWAY!! Shabby Apple Review and GIVEAWAY!! Neater Feeder Review and GIVEAWAY!! Lugz Gypsum Review and GIVEAWAY!! Skinny Dip Noodles Review and GIVEAWAY!! Yum Earth Organics Review and GIVEAWAY!! Eat Smart Digital Bathroom Scale GIVEAWAY! !